Iceland is gradually becoming a consolidated tourist destination in Europe but it still has many differences with Europe’s most-visited countries. One of Iceland’s main singularity is its lodging industry and how people prefer to travel around our country. All of this affects not only the demand but also the type of accommodation that visitors look for and one of the most requested types are campsites. Welcome to the best campsites in Iceland! As you may already know, Iceland is a remote country in the North Atlantic Ocean. Its main attractions are related to its wild and untouched nature. Even though the country has some great urban attractions and cities one should not missed, the best is awaiting out in the wilderness. Iceland raw nature attracts thousands of visitors each year and it just will not stop growing. Not long ago, people was allowed to park or sleep anywhere in the island but it ended up causing trouble with landowners, hurting Iceland’s fragile nature and many tourists would end up risking their own lives. That is why a new regulation was introduce: visitors should park and stay overnight at designated areas and campsites in Iceland. We have then collected the best campsites in Iceland, it will for sure ease your tasks! This camping area has great facilities, from restaurants, playground for your kids, toilets and showers, swimming pool and electricity to recharge batteries and vehicles. It also has a great location in the snaefellnes Peninsula as it is close to beautiful beaches, it lays on a lava area called Sandahraun and the next town, Ólafsvík, is just 9 km away. Opening time 1 of June to 1 October. This camping is quite popular in Iceland. It offers a wide range of outdoors activities: golf course, Playground, convenience store, restaurant and bar, swimming pool, hiking activities…etc. It provides both hot and cold water, waste disposal, electrical plugs, toilets and showers and laundry area. Opening time All year round. It is literally in the middle of a beautiful fishing village, the camping is surrounded by mountains, festivals, outdoor activities and tradition. Restaurants, walking paths, Golf course, Playground, Toilets, electricity, warm and cold water and waste disposal are available for the visitors as well as many other facilities. Opening time Summer time. If you have not heard about Ásbyrgi, then that is something you need to check first. This beautiful National Park offers spectacular landscapes and a fascinating canyon that will leave you breathless. Would it no the great to camp in one of the best campsite in Iceland? This camping site offers a large are for tents and motorhomes, showers, washing machine and tumble dryer among other facilities. It is also wheelchair accessible. Do you want to be at a camping site where you have shops, services and cities at hand? This is one of those and that is why we have included it in our best campsite in Iceland list. From this camping you can reach most towns of the eastern area of Iceland, an Olís gas station is 3,2 km away from the camping site. Dogs allowed, washing machine, toilers and shower, bike rental, waste disposal, swimming pool and internet connection is offered. This camping is located in the city of Höfn as well. This is the first village you will get to when coming from the south to the east of Iceland. It is a short drive from Jökulsárlón and the famous Vatnajökulll glacier. Amazing! Besides all the basics a camping site offers, you will also find horse rental, fishing area, sport area and dogs are allowed! Opening time 15th of April to the 30th of September. Close to the well-known city of Vik, it is one of the best reviewed campsites in Iceland by its customers. It lies by the roots of Mýrdalsjökull glacier so know you can guess that the views are spectacular! Facilities available: Cold water, Electricity, Toilets, Playground, Walking paths, Shower, Waste disposal. Opening Time 1st of June to the 15th of September. Are you close to Reykjavik but still feel like getting lost in the wilderness? This is your campsite. With plenty of activities for both adults and kids you will surely find something fun do to. It is just 50km away from Reykjavik and fishing activities are included in the rate! This camping is equipped with cooking facilities, boat rental, BBQ, toilets and shower, sport areas, warm and cold water and washing machine among others. Opening Time 15th of May to 15th of September but will soon open in Winter as well. As you can see, now there isn’t any reason not to come to Iceland, rent a motorhome or a campervan and have an adventure. 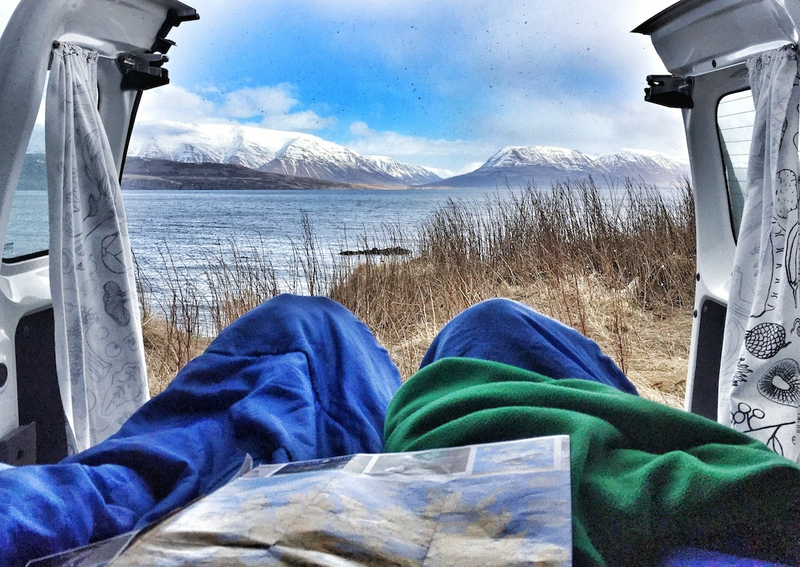 With this best campsite in Iceland article, you have the best place to stay anywhere you are!